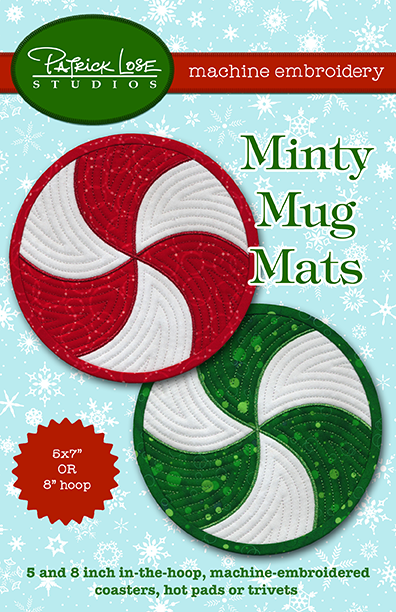 To make a mug mat, trivet, etc - Sandwich batting between the wrong sides of your top and backing fabrics and hoop. The first and last stitches made in the course of the stitch-out create an outline, through all layers, as a cutting guide for the outside edge of the mat. Includes a PDF file showing stitch order.